I am happy to announce our first Breakfast with Santa was a great success! 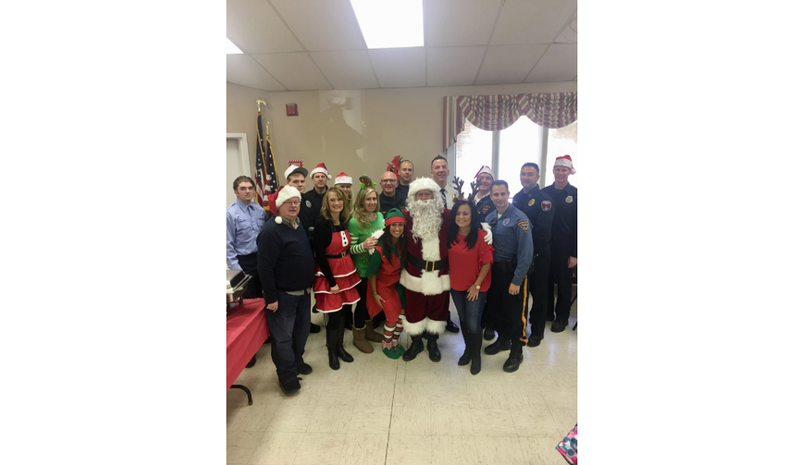 Washington Township residents, along with the Washington Township police and fire departments and EMS all gathered at the Senior Center on Dec. 16 to have breakfast with Santa and Mrs. Claus. Township police, fire and EMS were kind enough to serve breakfast and make it a great experience for the families. Also present were Councilwoman Angela Donato and Councilman Joe Perry. The atmosphere was cheerful and festive, as children got to interact with Santa and Mrs. Claus and others dressed as holiday characters. I would like to thank everyone for their help with putting this event together. I look forward to seeing you all next year at Breakfast with Santa. On Dec. 8, I was proud to be a guest speaker in Laurine Sibilia’s English as a Second Language classroom. Her nine students, who are native to eight different countries were asked to research and come up with a business they would like to open in Washington Township. I was happy to speak to the students as my husband and myself have owned and operated our businesses in the past. Also joining me was Zoning Officer Joe Micucci. He was extremely helpful in explaining the Zoning processes to the students. I look forward to seeing the outcome of this wonderful project and I thank Sibilia for inviting me to be a part of this extraordinary experience! At the Dec. 13 council meeting, I congratulated the October, November and December Washington Township Employees of the Month for their constant dedication and efforts as they strive for excellence. Representing the Washington Township Police Department, Officer Alyssa Arnold accepted the award for October. Amy Falasca in our Community Development Department accepted the award for November and Public Works Director Ernie D’Orazio accepted the award for December. I sincerely value all the employees who go above and beyond to give the residents the services they expect and deserve. On Dec. 13, I presented Officer Gary Egizi with a proclamation for his generous efforts to make “Shop with a Cop” a successful program. I am proud to have officers like him as part of our Washington Township Police Department. Many others in the police department have also volunteered their time to make this Christmas special for families in need. Egizi was able to collect donations from generous local businesses and private citizens. These funds helped children purchase gifts for their families, as well as secret gifts for them that Egizi delivered to them on Dec. 11. Thank you to our “Santa in Blue” and his comrades from the Washington Township Police Department for all of their hard work and dedication.